When I was working downtown, those afternoon coffee breaks were a treat. They provided a little energy boost for the rest of the afternoon (and those afternoon meetings.) But coffee breaks aren’t always convenient and they aren’t always the most cost-effective option. That’s why Energems is a great alternative to coffee and other energy drinks for that quick energy boost. 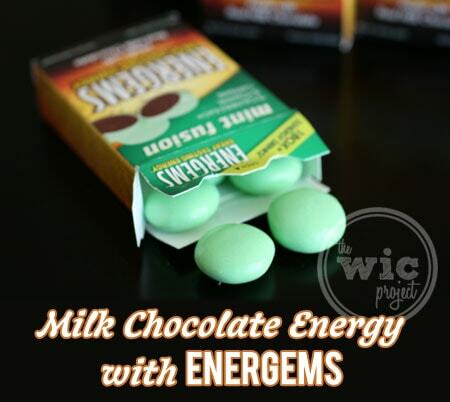 Instead of coffee or cherry flavors, Energems are made with real milk chocolate. That’s right chocolate! Energems are coated with a hard shell, so they don’t melt easily in the box or in your hand. Inside, is a smooth milk chocolate is infused with the proprietary Energems energy mix, along with caffeine and B vitamins. 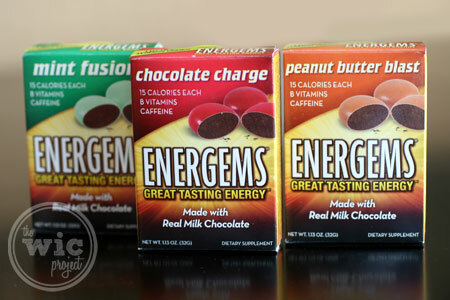 There are three flavors of Energems – Chocolate Charge, Mint Fusion, and Peanut Butter Blast. Energems are also more portable than canned energy drinks. One box has 9 “gems” inside and a typical serving is 3 gems. 3 gems is equivalent to one energy drink, so instead of carrying around 3 cans of energy drinks, I’m just carrying one small box of Energems. Another great perk is that you can eat more or less gems based on how much of an energy boost you want. So far I’ve just tried the Mint Fusion Energems, and I was pleasantly surprised. I’m used to some “enhanced chocolates” being kind of chalky and grainy. I was impressed by the quality and the texture of the chocolate in the Energems. It tasted just like milk chocolate with a hint of mint. This is probably because they’re made with real milk chocolate. I can’t wait to try the other varieties. I ate a couple of Energems the other morning when we head into town and noticed a boost of energy in a matter of minutes. Even better was that I didn’t feel the “buzz” that can come with coffee, and the gems are just 15 calories a piece! If you’ve read this post and thought, “Wow, Energems sound awesome, but I’d like to try before I buy,” then here’s something special for you. You can order a FREE sample of Energems by visiting the Energems Facebook fanpage and clicking on the Free Sample tab. Energems are a delicious and low-calorie way to boost your energy, focus and concentration! 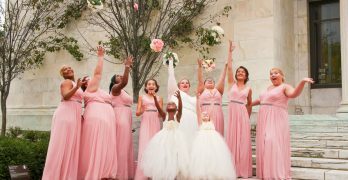 Please visit http://energems.net/ for more info. The mint ones are pretty good. I find that the Energems make me kind of peppy, too. I love mint flavored anything. I’m also mom to three boys so energems sound amazing. Love these things!! 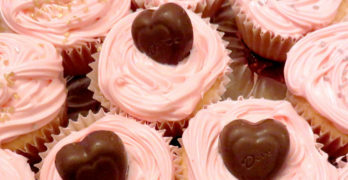 They are delicious, give me a boost in energy and don’t make me crazy shaky while they’re at it. My favorite is the mint! I’m off to order my sample and I love mint. 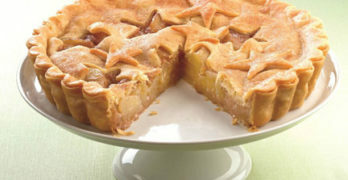 Ooh these sound awesome! The peanut butter ones would be great. They look better than those energy drinks. Haven’t tried them.